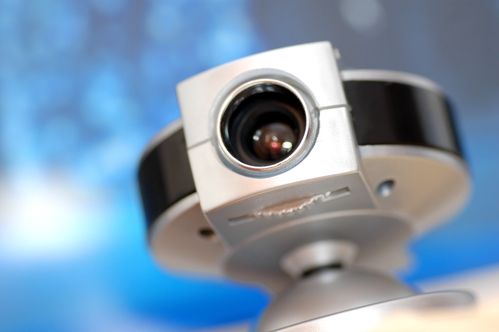 Most of the devices we use on a daily basis these days have webcams installed as standard. While this makes keeping in touch with friends and family very easy, it is important to be aware of the potential associated security risks. There have been several stories in the news recently about people who have had their webcams ‘hacked’ and the implications for how this affects personal privacy are significant. In the first of a short series of ‘tech tips’ posts, we explain how webcams can be accessed and suggest some things you can do to avoid someone looking in on you, unwanted. How can webcams be accessed? Most hackers use a so-called ‘Trojan horse’ attack to access webcams. By erroneously clicking on an email attachment or downloading a piece of music or video that is infected with malware, the hacker may be able to control your device remotely. Another technique, known as ‘clickjacking’ occurs when a website is manipulated so that the permission prompt for Flash becomes invisible. In this can, an invisible prompt can be placed over a commonly used area of the page (for example, the ‘Play’ button on a video) so that when you watch the video you inadvertently give permission to Flash to start recording images on your camera. The type of webcam you use may also be an issue, although this is now less common. Nonetheless, a recent article about security risks associated with baby monitors with in-built cameras suggests that there are still vulnerabilities in certain models. What can you do to protect against this? There are several things that you can do to avoid your webcam being attacked. The most obvious, and perhaps easiest, is to cover your webcam when it is not in use. However, it is possible that a hacker could still access the device’s audio feed, which is also pretty undesirable. Make sure your hardware and software are up-to-date. The webcam itself, like most standalone devices, is controlled by its firmware and this is where any vulnerabilities are most likely to occur. Try to stay up-to-date with any firmware updates from the device’s manufacturer. Similarly, make sure your computer virus protection is current. You should run routine malware scans (malware is a popular way for hackers to access your device in other ways as well), and make sure you use a firewall to protect against attacks. A common way for malware to enter your computer is via email attachments so make sure that you don’t click on any suspicious ones. You can also make sure your wireless connection is secure by using a unique password on it, rather than the default one that comes with the router. If you still wish to do more, there are some programs out there now that offer webcam protection. They work in the background and notify you when your webcam is being used. You can also keep an eye on the indicator light on the webcam, if you have one.